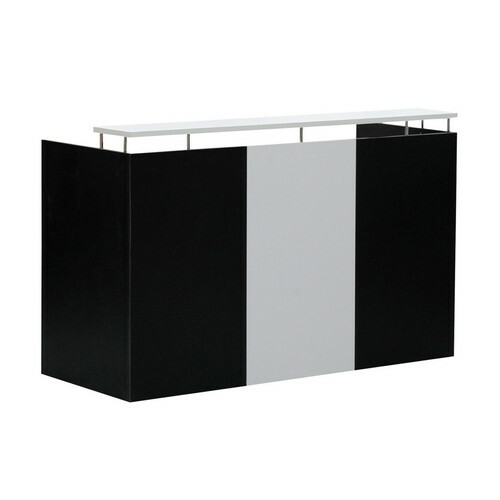 This front reception desk is in a stylish contemporary two tone white and charcoal easy clean melamine finish. Finishing with chromed detailed top shelf it creates a functional professional reception area for any office or shop. 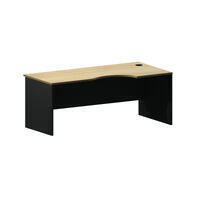 It is constructed using a sturdy cam dowel construction. 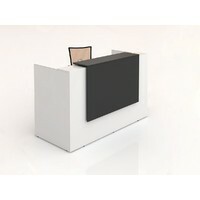 It is 1800 mm wide so wide enough for 2 people or you can purchase pedestal and return to co-ordinate with this unit. It is 1100 high at the front so that it provides privacy but most people can easily see over it. 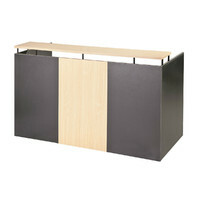 The shelf at the top provides and area for easy transactions to take place. It also has a cable data hole in the unit. 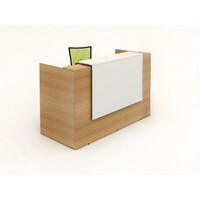 This price is for the unit fully assembled but also available flat packed. It is also available in cherry and shale as well upon request.